Ivan is back with another tattoo! 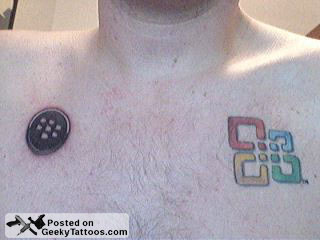 I previously posted about his iGoogle, Windows XP, and Office 2007 tattoos, and now he has a new one to add, the Blackberry App World logo. The App World is Blackberry’s answer to the iPhone App Store and Danger’s Download Catalog. Something tells me Ivan is not an iPhone or Sidekick user! 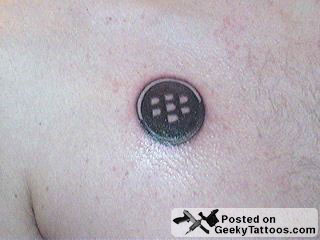 Posted in Gadgets, Logos, Tattoos. Tagged with Blackberry, chest, Ivan Morrison.